The Senior Babe Ruth program is for players ages 16-18. They play about 12 league games and in the state tournament if desired. These teams are typically organized by the coach or the group of players looking to bring a group of players together that have played local baseball since their T-Ball days. Contact Ted Wadzinski at if you are interested in forming a team. West Middleton formed a team of HS juniors and graduating seniors to compete in the Dane County League. 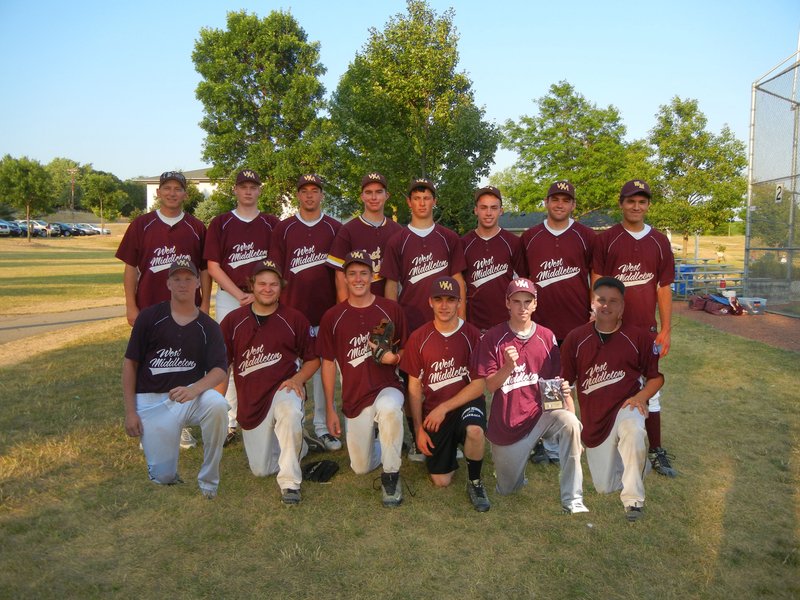 West Middleton formed a Senior Babe Ruth team that competed in the Dane County League and in the State Tournament (July 5-8, Dodgeville, WI). The team finished second in the league and 4th in state. 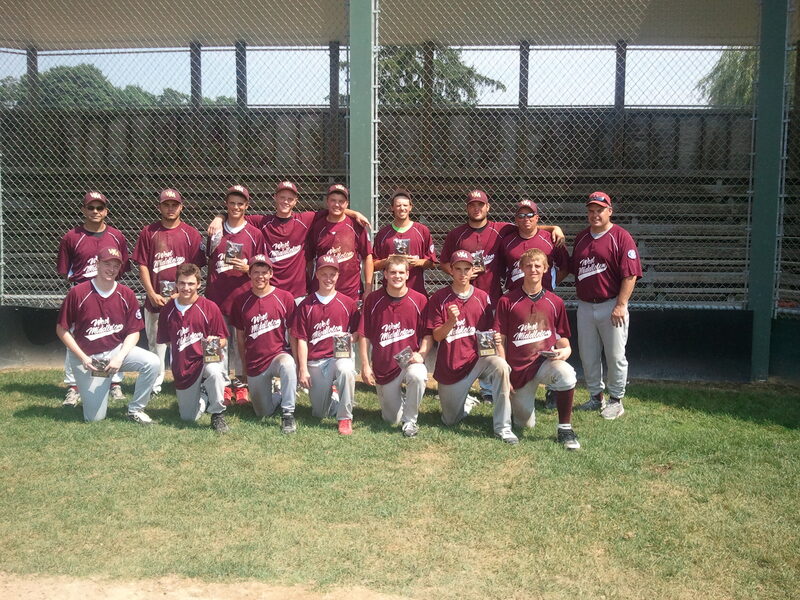 The West Middleton Senior Babe Ruth team followed an undefeated regular season with a second place finish at the Wisconsin state tournament in Dodgeville, WI, and a strong showing at the Ohio Valley Regional Tournament in Lexington Kentucky. The team finished 3 and 2 in the regional tournament, beating two teams from Lexington, KY and a team from northern Indiana, before losing an extra inning game to the eventual champion from Noblesville, IN. David Wadzinski, and Bubba Solner. Not pictured: Luke Meeteer and Jordan Veerman. (Yellow Page Controls), Jen Buchner, UW Dugout Club, Qual-Line Fence, and West Middleton Youth Baseball and Softball.